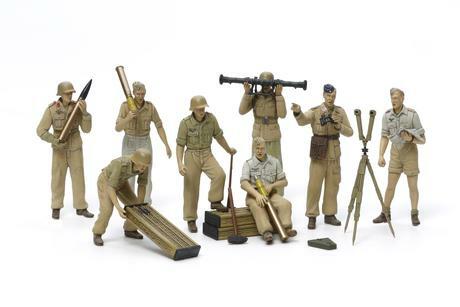 Special Feature 1 The set includes 8 realistic figures in a variety of action poses, with officer, loader figures and more. 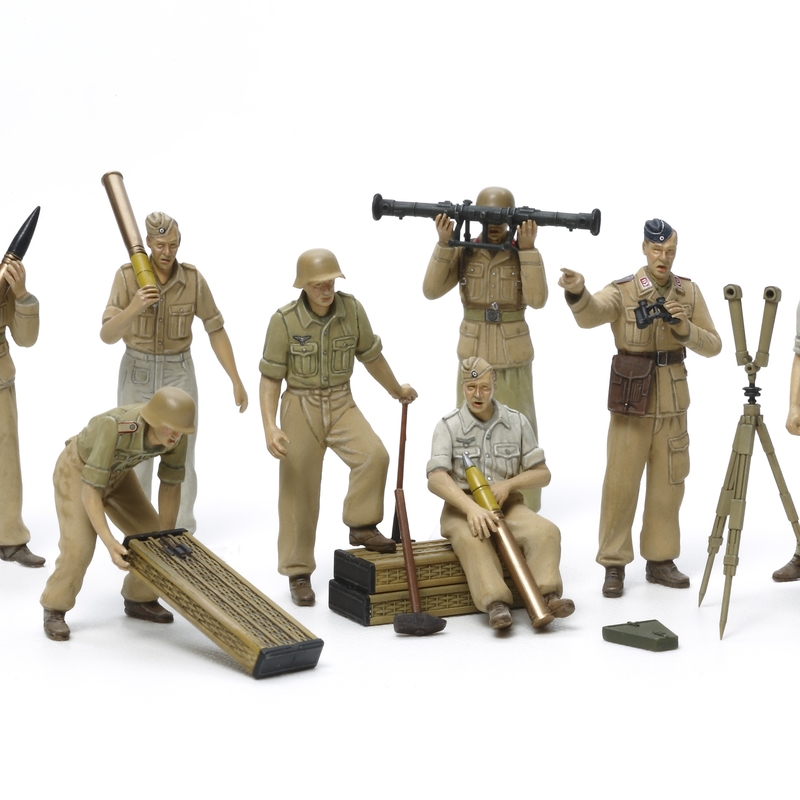 Special Feature 2 Figures are depicted in a variety of German tropical uniform attire. Special Feature 3 Accessories include: armor-piercing and explosive rounds, plus empty shell cases, ammo boxes racks, a rangefinder, and smaller tools such as a shovel and hammer.